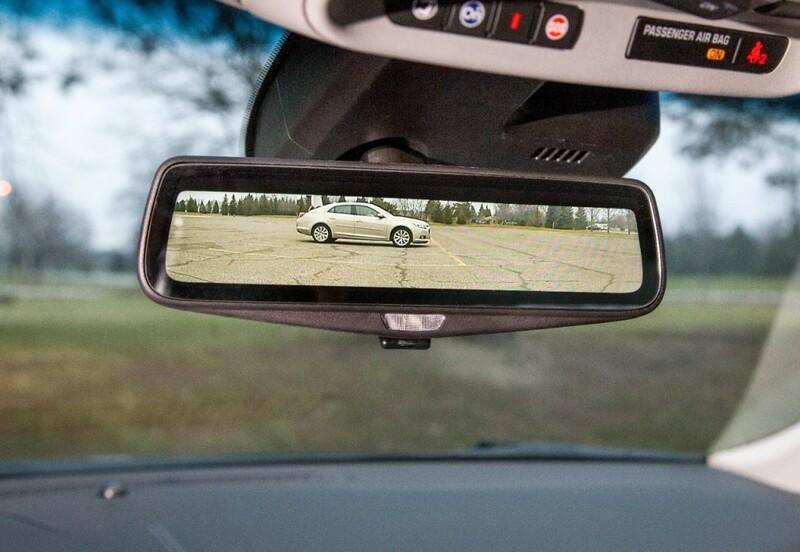 Rear Camera Mirror is a General Motors safety technology that replaces the traditional rear-view mirror with high-resolution video streaming to a display in the rear-view mirror, thereby improving on the traditional inside rearview mirror by providing a wider, less obstructed field of view. Camera: the rear-facing high-definition camera features a high dynamic range designed specifically to enhance rear view lane width and maximize low-light situations. The camera reduces glare and allows a crisper image in low-light situations compared to a traditional glass electrochromatic, or auto-dimming, rearview mirror. The camera is finished with a water-shedding hydrophobic coating to keep it clean to maintain visibility regardless of the driving conditions. Left: regular mirror with obstructions. Right: rear camera mirror with no obstructions. “The closest comparison to this kind of rear vision would be driving a convertible with the top down,” said Travis Hester, Cadillac CT6 executive chief engineer. 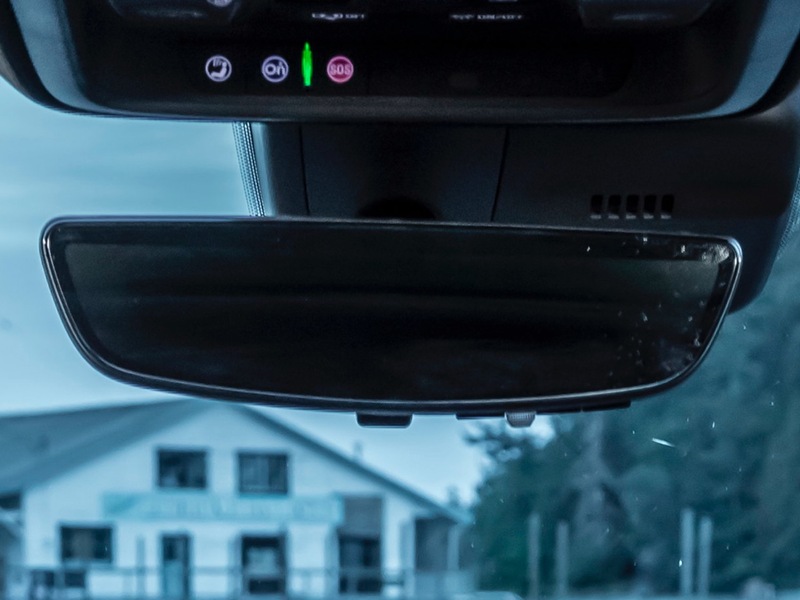 “In addition to the increased field of view, the technology eliminates any rear seat, rear pillar or passenger obstructions, allowing the driver an unimpeded view of the lanes behind and traditional blind-spots,” Hester said. For the 2018 model year, the Rear Camera Mirror gained a Rear Camera Mirror Washer feature that delivers a pressurized spray to the lens used the Rear Camera Mirror, thereby removing mud, dust, snow, ice and moisture from the camera’s lens. Drivers can disable the mirror’s video streaming function by “flipping down” the tab on the underside of the mirror. Doing so reverts the mirror to a traditional electrochromatic rearview mirror. Researchers and engineers working on the GM Rear Camera Mirror have been awarded 10 patents – one for the streaming video mirror and nine for video processing. The patents cover innovations in the wide field of view camera image calibration, de-warping, glare reduction and camera hardware design. The technology is currently available on the following vehicles. General Motors and its Cadillac prestige-luxury division announced the Rear Camera Mirror in December 2014 for the 2016 Cadillac CT6.